My phone seems to work best for quick blog updates. This short pity articles will hopefully inspire you to travel to the places on this blog or on your own vacation. 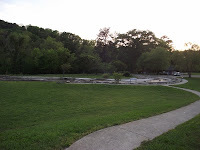 It is a fun way to give you the most current information on all of my road trips, just like the post from yesterday about Sugarloaf Mountain Park. Mobile blogging impacts article length. Additional details about the road trips have to wait until later, but it gives you a glimpse of future articles. 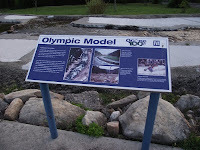 Who would have thought that TVA would help the National Forest Service prepare for the 1996 Olympics by creating a model? But, that is exactly what they did. 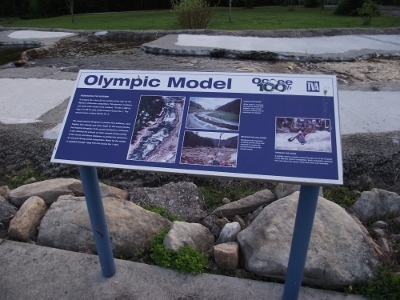 The sign to the left explains the model of the Ocoee River. 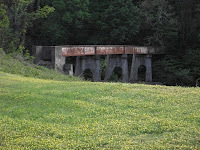 It's next to the Ocoee Number 1 Dam at Sugarloaf Park. Remote articles that are created on-the-go may be short in space but longer in up-to-the minute details. Like the stop at Sugarloaf Mountain Park, mobile blogging helps my bring you the latest on all my road trips. This shot on the left gives you an idea of the size of the model. Road trips do not always involved easy walks like this one has. The paved walking trail goes around the display, by the river and past the railroad trestle. 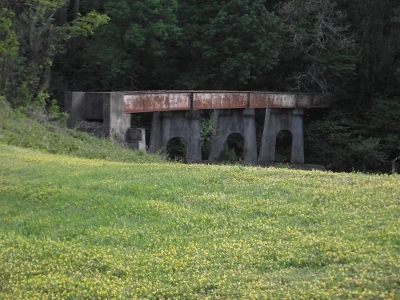 The trestle is off limits but I was able to get the photo that you see below. Few road trips have this many interesting structures in one place! It's a trip that I will be repeating. Hopefully, I will be able to fine tune the mobile blogging so that you can come along on all my road trips as they happen.